Village Signs is a series of caches based on the ornate signs that depict the heritage, history and culture of the villages that put them up. 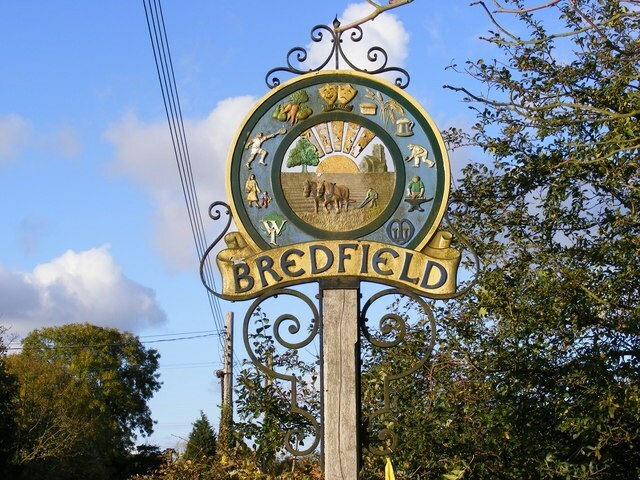 Bredfield is a small but active village, situated off the A12 about two miles north of Woodbridge, comprising some 140 dwellings and about 350 people. In common with many other rural settlements, we have lost our Post Office and School in recent years, but we are served by a busy community shop, manned by volunteers, with a range of local products and a village hall with playing field, tennis courts and a bowls club.